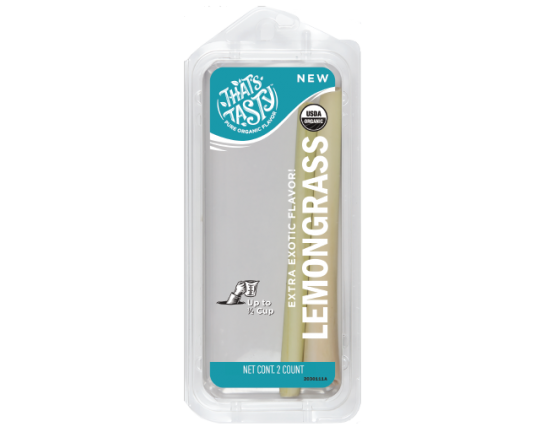 It’s easy to love the wild flavor of lemongrass. If celery, mint, cilantro, and ginger had a baby— we are pretty sure that it would taste like lemongrass. It’s the zesty flavor that gives Thai, Malaysian, Cambodian and Vietnamese cooking their unique flavors. With its bright floral flavor, it brings the kick to curries, fish, shrimp, soups, stews, marinades and stir-fries. You can even add refreshment to teas, cookies and cakes for a sweet way to incorporate this happy herb. And don’t worry, it’s not as intimidating to use as you might think. First remove the outer stalk and bruise the inner stalk to release its oils. If you are cooking a soup or sauce, just drop in while cooking and remove prior to serving. If you are using in a recipe, you will probably want to puree first and use that way. Sold at the peak of freshness. Our Lemongrass is grown and sold to be used right away for the best flavor. When life gives you lemongrass, turn it into delicious, lemony flavor for soups, curries, and salads. Lemongrass is happiest inside its package, hanging out in your refrigerator drawer. Lemongrass freezes beautifully. You can freeze whole stalks by sticking on a cookie sheet and placing in the freezer until frozen solid, then transferring to freezer-proof zip-top bags. Use up extra lemongrass in your afternoon hot tea.